Ceramic matrix composites (CMCs) have proven to be useful for a wide range of applications because of properties such as their light weight, toughness and temperature resistance. Advances in ceramic matrix composites summarises key advances and types of processing of CMCs. After an introductory chapter, the first part of the book reviews types and processing of CMCs, covering processing, properties and applications. Chapters discuss nanoceramic matric composites, silicon carbide-containing alumina nanocomposites and advances in manufacture by various infiltration techniques including heat treatments and spark plasma sintering. The second part of the book is dedicated to understanding the properties of CMCs with chapters on Finite Element Analysis, tribology and wear and self-healing CMCs. The final part of the book examines the applications of CMCs, including those in the structural engineering, nuclear and fusion energy, turbine, metal cutting and microelectronics industries. 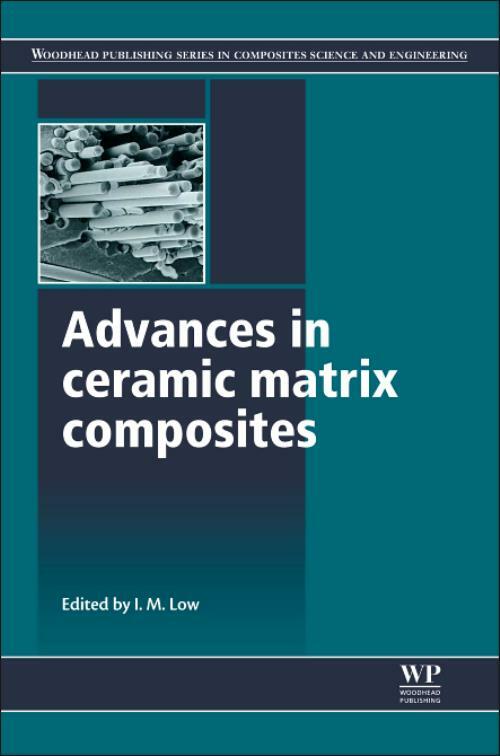 Advances in ceramic matrix composites is an essential text for researchers and engineers in the field of CMCs and industries such as aerospace and automotive engineering. Low, I MProfessor I. M. Low is the current WA Branch President and Federal Secretary of the Australian Ceramic Society. Since 2008, he has served on the Editorial Board of the Journal of the Australian Society. He is the recipient of the prestigious 1996 Joint Australasian Ceramic Society/Ceramic Society of Japan Ceramic Award for ceramics research and edited five books, along with authoring over 200 archival research papers. He also currently serves as an OzReader for the Australian Research Council to assess Laureate Fellowships and Discovery Projects proposals.